If there is one thing that I have learned from working with social media, it’s that people love photos. Just look at the countless image sharing web sites that have popped up such as Instagram and Flickr. Almost every good article that you will come across on the internet will also include a picture. When we make Facebook posts for our clients, we always get more Shares and Likes if we include an image. For whatever reason, people are just naturally drawn to visuals. So when the need for photographs arises, many people look to Google Images and don’t think twice about posting it on their Facebook. While this may be morally or socially acceptable to do on a personal page, there are deeper legal and ethical implications when doing this on a business page. There is a term in law known as “the three a.m. stoplight”. If you pull up to a red light at three in the morning, and there are no cars around, is it illegal to run it? The answer is yes, it is illegal. However, chances are you won’t get caught so most people choose to take that risk. The same applies to sharing images on the internet. If I were to take a photo from somebody’s blog and post it on my Facebook page without proper attribution, I would be infringing on their copyright. 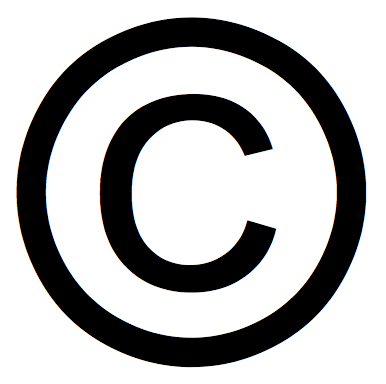 Internet culture has evolved so that most people don’t really consider copyrights. We choose to run that red light because, hey what are the chances that blogger is going to happen upon my Facebook page, right? Most people may choose to take that risk with their own personal accounts. But business owners with their reputation on the line will certainly think twice about it. Luckily, there are ways around this. So you think that picture of the cute kitten would be perfect to post and show your followers? Well you can get permission the old fashioned way: just ask nicely. Wherever the image originated from, you might be able to contact the owner. However, since the internet is a share-happy place, the post you find might be a re-post of a re-post of a re-post, and the person you try contacting may not be the proper copyright holder. In that case, it would be safer not to use the image. Another approach is to specifically search for “free to use” images. These can easily be filtered through an advanced search on most image databases. In most cases you will be required to properly attribute the work by including a link or naming the author. There are even ways to shorten the URL and make the link less intrusive. Many people look to Google Images to find pictures because it is what they are most familiar with. But the question “Is it legal to post photos from Google Images on my Facebook Page?” Google Images is a search service that compiles images but it is not a database. Any image found through Google Images is coming from a separate site. It would be that site that holds the copyright. There are other web sites that ARE media libraries where you can find photos and videos, often for a price. Getty, AP, and Reuters are the top paid sources. Flickr is an excellent place for finding free to use images. If you come across an image you want to share, you can take one of two approaches. The first option is to share the link. You can do this by copy and pasting the URL onto your Facebook status, or by clicking on a “Share” or “Like” button that might be on the page. Each one is formatted differently on Facebook, so try both and see which you like better. Or, you can upload the image yourself and be include as part of your post something like “Image by MikeBlogs on Flickr”. Nobody wants to get into a messy copyright infringement situation. But business owners should not let that keep them from sharing images. If you use the proper tools embedded on to most sites, then you are sure to be safe. That is why the share button exists. Social media is all about sharing. Just remember to play nice and give credit where credit is due. Posted in Blogging, Facebook, Social Media, Social Media Tips and tagged Attribution, Blog, Blogger, Business Owners, Copyright, Facebook page, Flickr, Free to Use, Google Images, Internet, Likes, Media Libraries, Shares, Social Media. Great points, I think the Internet seems like such a free-for-all that it’s easy to forget that copyrights are still intact! Yes, it’s always good to protect oneself.